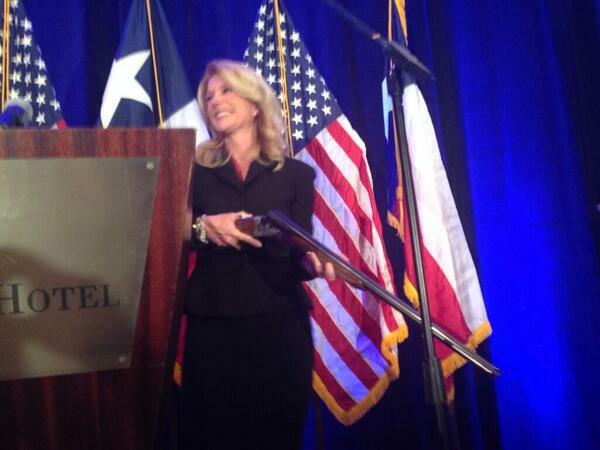 Wendy Davis' recent talk on abortion and gun rights has irritated some of her base. But it's led one Democrat in Limestone County to close up shop. Rancher, bookstore owner and 79-year-old iconoclast Bill Bond has been sticking it out in Limestone County for a long time, waiting for Texas Democrats to take back control of the state. 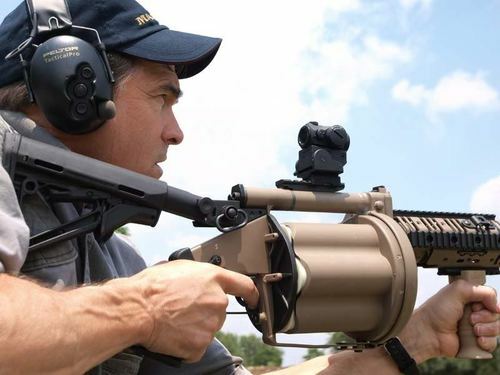 He thought Wendy Davis had a good chance to do it. But the lifelong liberal activist says he’s so pissed off by Davis’ open carry talk that he’s shutting the Democratic Party storefront in Groesbeck, housed inside his bookstore. Bond swears that he’ll sit out the rest of the campaign—and that nothing will win him back. Lately, Wendy Davis has been fleshing out her policy portfolio—drawing clear, bright lines around issues she may have only touched on in the Senate. She recently told the Dallas Morning News that she personally supports medical marijuana, and she’s endorsed recent efforts to challenge Texas’ gay marriage ban in court. But other policy positions she’s adopted run counter to those held by parts of her liberal base—like her willingness to consider restrictions on abortion after 20 weeks, and her endorsement of “open carry,” which would allow Texans to carry unconcealed guns in public. She told the AP she “supports expanding gun rights in Texas,” before, on Monday, she partially walked back her comments, saying municipalities should have the ability to set gun laws for themselves. A lot of Democrats will take those policy positions in stride, arguing that the perfect shouldn’t be the enemy of the good. Bond, who lives in Groesbeck, about a hundred miles south of Dallas, couldn’t disagree more. Bond believes Texans should want to live in a place with less guns, not more. “My wife works at a little medical clinic here [in Groesbeck] and she sees gun accidents all the time,” he says. And he feels so strongly about it that he contacted the county’s Democratic Party chair to notify him the party could no longer roost in the back of his shop, Bill Bond’s Books. But it’s heartbreaking for Bill. He’s even shipping the pair of Mizunos he bought after Davis’ filibuster to her headquarters. And more than that, having been a lifelong Democrat in a crimson-red county—he recalls the cross that was burned on his lawn, and says he’s the laughingstock of Groesbeck—he places a high degree of importance on losing with your principles intact.